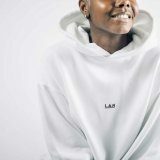 Tuesday, 9th April 2019 Living like an athlete series: cheat meal 2/2 In the first article Living like an athlete: Cheat Meal we talked about what cheat meal is and what are our ambassador’s favorite ones. 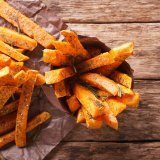 This time we will dig a bit deeper and discover why cheat meals aren’t always the best idea and what are some of the healthiest versions to eat instead. Thursday, 4th April 2019 Handballers special talents series: LUKA KARABATIĆ We continue with our series of articles about talented handball players. 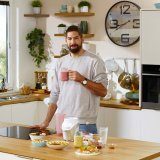 This time we discover a special talent of Luka Karabatic, the great PSG line player and our ambassador`s (Nikola Karabatic) younger brother. Thursday, 28th March 2019 Handball fan`s artistic sides series: Anna Benicewicz-Miazga Being a handball fan can mean a lot of things – enjoyment in playing or training handball, it can mean desire to visit handball games and sometimes handball can also inspire an artistic side of a fan. We have decided to do a series of articles where you will be able to meet them and their talents. Thursday, 21st March 2019 Handballers special talents series: Luc Abalo With these series of articles, we want to let you know what these guys special talents are, and we decided to start with one of the most popular French handball players – Luc Abalo. The right wing of PSG and one of the most important players of the French team manages to juggle between his career and his other passions. Monday, 18th March 2019 World of handball: Lewis Howes Imagine. You are totally broke, without money, living and sleeping at your sister’s couch in Ohio, depressed. While changing channels on the TV you catch the Beijing Olympics and start to watch coverage of the handball event. Friday, 8th March 2019 What if not a handball player It seems most of professional athletes knew what their professional career will be, already since the very young age. 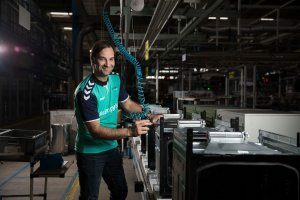 However, when we took some photos of Ivano Balić at our Gorenje factory in Velenje, Slovenia, we started to wonder what he or other handball players be if not professional handball players. Thursday, 7th March 2019 Living like an athlete series: cheat meal 1/2 For every professional athlete the fundamental part of physical training is eating the right food to fuel their body. Educated pro sportsmen know that no matter what they do inside the gym, if they don’t eat healthy, they just won’t achieve the physical and healthful results they want. 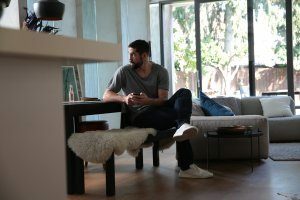 Monday, 4th March 2019 Nikola Karabatic - FANS Q&A Once again, we decided to give you a chance to ask our ambassador Nikola Karabatić questions you always wanted to ask. We are publishing a few, more on gorenjesimplyfans on Instagram. 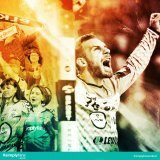 Monday, 4th March 2019 #simplyfansunited first winner In the second part of the season, in February we started with our #simplyfansunited contest (read more about it here). Now, when the first month of the competition ended and we have the first monthly winner, we can say that you were a bit shy with your applications, but we still got the photos from six different countries. 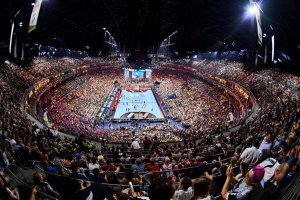 Tuesday, 26th February 2019 The most memorable moments in handball history For sure, some would claim that one of the most memorable moments in handball history are the 1972 Summer Olympics in Berlin where handball emerged onto the world stage as team handball previously known as a field outdoor sport. Others see it differently. We have asked some of our #simplyfans on Instagram to share with us their stories. 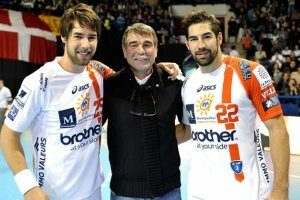 Wednesday, 20th February 2019 Interview with Nikola Karabatic: My father, my idol Since we all know how Nikola had a special connection with his father, Branko Karabatić, who helped him also in his professional career, we have asked Niko to tell us something more about it. He shared some advices that he received also from his father, his idol. Thursday, 14th February 2019 Handballers fall in love too! Well guess what – no one is immune to Cupid’s arrow, no, not even handball players! It’s one of those days in the year when majority of the planet talks about love. 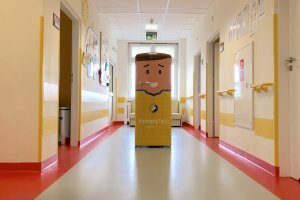 Some may have positive words to say about Saint Valentine’s day, others, the little less excited ones, will claim that is just another great day for the marketers. Tuesday, 12th February 2019 A #simplymoment we will never forget #simplymoment prize contest that was organized by #simplyfans team at the end of year 2018 reach its dramatic ending in 2019. 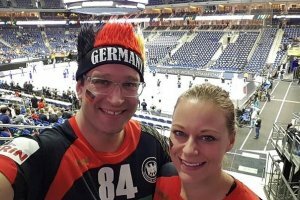 An amazing story of a Handball fan caring for someone else. Thursday, 7th February 2019 What is #simplyfansunited contest all about We want you to share your #SIMPLYFANSUNITED moments with us – you have to take a photo with a fan/-s of the opponent handball team in case you want to participate in our contest. Prizes? Two tickets for Velux EHF FINAL4 2019 + accomondation (June 1 - 3) + Meet and greet Ivano Balic in Germany. Tuesday, 5th February 2019 Living like an athlete series: DETOX When speaking about detoxifying your body, there really is no big difference between professional athlete and an office worker, they will both genuinely benefit from it. 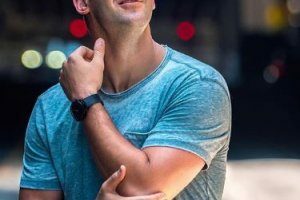 Whether the cause of feeling drained and without energy is a week full of trainings and games or just ‘exhausted all day in the office’, detox done properly can lead to massive physical improvement. 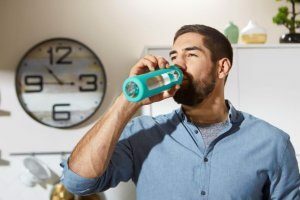 Tuesday, 5th February 2019 Living like an athlete series: HYDRATION Being a sport fan is an exciting thing, so there is no wonder that even professional athletes themselves are fans too. We asked some of the best handball players to share with us, whose fans they are, which sport they follow beside handball, why they love it and which athletes they admire. Wednesday, 30th January 2019 Pro`s are fans to - PART 2 Being a sport fan is an exciting thing, so there is no wonder that even professional athletes themselves are fans too. 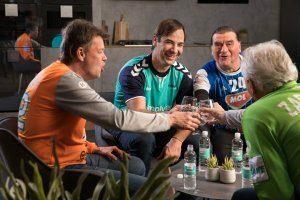 We asked some of the best handball players to share with us, whose fans they are, which sport they follow beside handball, why they love it and which athletes they admire. Tuesday, 8th January 2019 #simplyfans FANDOM We are the #simplyfans team gathered in #simplyfans movement.  What we have just realized is that we have never before talked to you about what our #simplyfans community is all about and what is actually our true mission in this big sport industry.